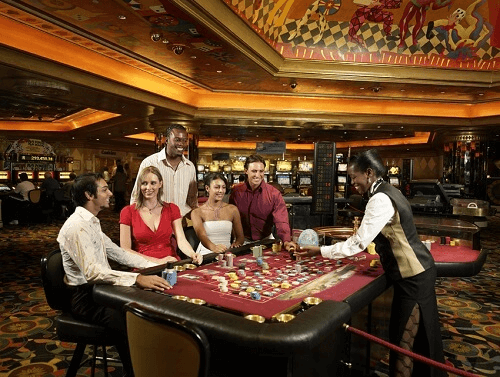 South African casinos is one of the countries with the best casinos in the world. There are some things you need to know about these casinos and why they become recognizable over the years. With more than 40 world class land-based casinos in the country, there’s always something to fall in love with. South Africa has also a variety of online casinos that attract locals and players from the whole world. There are at least two land-based South African casinos in each province. Land-based casinos are amongst the premises with more cameras per m2 in the country. Once you step into the casino every movement you make is monitored by security personnel via security cameras. The reason behind many cameras is for security reasons and to catch players with intentions to cheat. Every table or machine is closely watched. Payout percentages are different for each casino. You’ll find out that some casinos have higher payout rates while others have lower payouts. Payout percentages usually range from 82 percent to 98 percent and there’s no way you can find a casino with 100 percent payout. Gambling in South Africa is not permitted to persons under the age of 18 years. Whether you want to gamble online or a land-based casino you should be 18 years and over. This is the reason why if the security personnel suspects that you’re not old enough to be in the casino, you’ll be required to show them your ID. The odds of most games favour the casino. It is important to know the right games to bet on as some games rarely reward players with a win. Some video poker machines can be beaten but not all of them. The odds are different for each game. In addition, whether you’re playing at a land-based casino or online casino the odds offered will be different. Even though you might win real money gambling in the casino, it is still entertaining to play casino games. Everything is designed to offer you a great experience at the casino. Land-based casinos offer a lot of other activities to attract gamblers and non-gamblers including beauty spas, cinemas, restaurants, bowling alleys and more.